The Kinly Shine Multi-Tier Dress would be perfect for upcoming holiday parties. It features a layered asymmetrical hem, adjustable straps and belt. 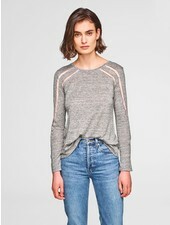 This Kinly tulle trim top gives the basic long sleeve a twist by adding slivers in the fabric on the arms and chest. This piece can be worn with anything making it extremely versatile. 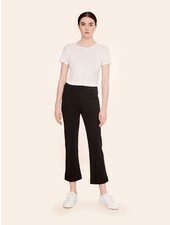 These adorable crop pants, cut from a sweatshirt like cotton, feature rear pockets and slits at hem.